The headstone (left) is that of Elizabeth Leonard who was the wife of William J Leonard. Elizabeth died on 28th July 1928 aged 44 years. 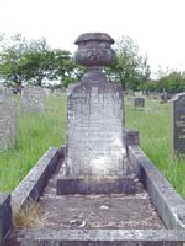 The plot also shows that the grave contains the remains of a Leonard Davies who died aged 6 months. I do not know the connection between Elizabeth Leonard and Leonard Davies. Maybe she remarried after William was killed and Leonard Davies is a son from this marriage. The connection of William J Leonard and Nelson is his memorial on the headstone of his wife, which is situated at St Mabon’s Churchard, Llanfabon, Nelson. William John Leonard was born in Abercarn, Monmouthshire in 1885. 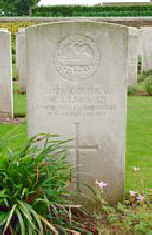 He was the eldest of at least four sons born to Tom and Cath Leonard (born Powell). Tom was born in Newport Monmouthshire in about 1862 while Cath was born in Abercarn in 1865. 10 Truck Row, Abercarn which is where most of their children were born. Elizabeth was born in 1898. What is clear on records in that while the male head remains as Tom Leonard the female figurehead at the address at this time was Elizabeth Powell and not Cath Leonard. Elizabeth Powell is shown as the mother-in-law to Tom, i.e. Cath’s mother. Had Cath died?